It’s that time of the year! You know, the time when everyone magically transforms into their inner flower child for the sake of music and fashion… It’s time for Coachella! Maybe it’s just me, and keep in mind I’ve never been, but it seems that Coachella is the most stylish of all music festivals. Like, the pressure is on y’all. Everyone brings their A-game. All the girls look super cute and the boho vibes are perfection. So, whether you are actually attending the famed festival or just trying to flaunt your boho style from home, here are some of my top choices for boho chic looks! I love that first outfit! That romper is so pretty! Love your picks. Especially loving the romper. 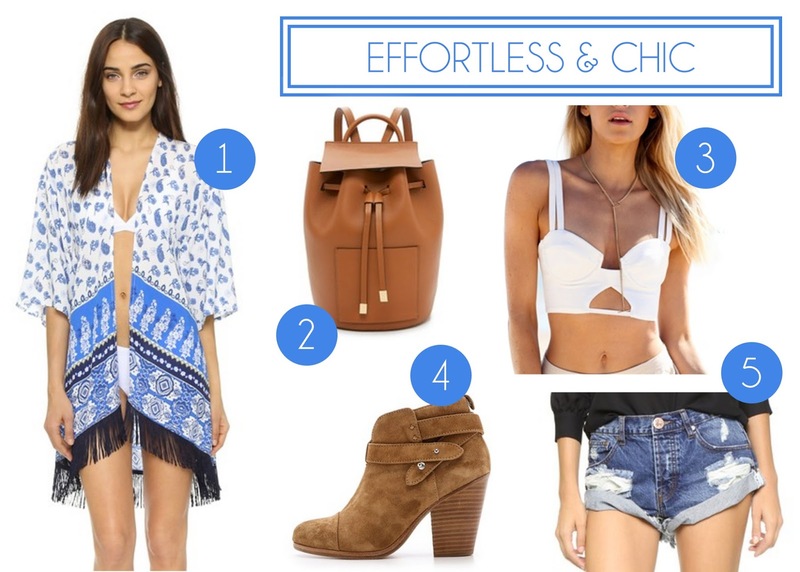 Love the "Effortless & Chic" look! Great picks. The first set is my favorite. My daughter already has lined up two music festivals to travel to this summer…this roundup has some great ideas for her! Thanks! I love the first and third sets! I could definitely see myself wearing these pieces! Great picks! Love the cut out rompers! This makes me super excited for summer!! Such FUN fashion picks!!! I have never been to a music festival but I hope to go to some concerts this summer! Love love love the preppy look! I could see myself wearing that to Coachella (or anywhere) for sure! Cutest looks ever! I want to go one day! The preppy look is definitely my fav! wow oh wow I love all of these! I have always wanted to go to a music festival! These outfit combos are perfect! The yellow romper outfit is my favorite. My favorite is all the effortless and chic items, so cute! Great outfits. Can't go wrong with a romper. I love the second outfit the best! All of these looks are so fun! I really love that brown saddle bag!